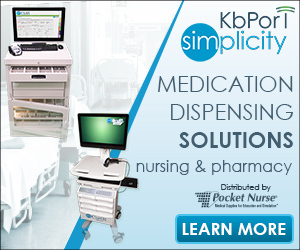 KbPort™ MP-1™ revolutionizes the way simulation centers are collaborating. From debriefing to multi-site collaboration, the MP-1™ high-definition display allows both local and remote viewers to control your simulation software. Using the MP-1™, simulation videos can be reviewed and students can be critiqued with little effort. 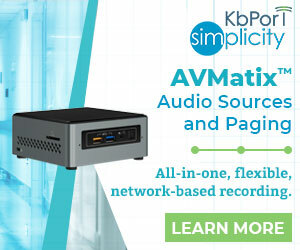 KbPort™ software allows you to stream live video and control simulation recording right from your MP-1™ making it the perfect debriefing tool. Whether you’re separated by time and distance, or you need to alleviate capacity restraints, The MP-1™ allows you to collaborate with colleagues around the world. The high-definition display and video conferencing technology make you feel like you’re really there and lessens the amount of expenses associated with traveling. 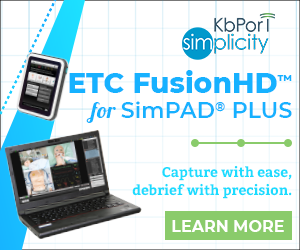 Local and remote viewers can share control of the simulation via a PC, smartphone or tablet PC. The MP-1™ is great for doing demonstrations and presentations over the Internet, saving time and travel expenses. Furthermore, it works great when troubleshooting technical issues providing real-time visual feedback. 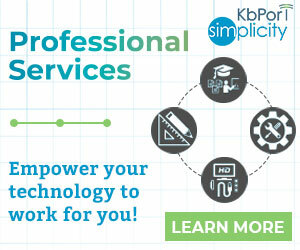 Use it to call KbPort™ and receive state-of-the-art technical support.